A simple, Quick and an easy poriyal. Wash and chop the Brinjals lengthwise .Soak them in water. Heat oil in a pan. Add the aniseed . Add the chopped garlic and saute them well. Now add the chopped brinjals. along with the turmeric powder, chilli and coriander powder. Finally add salt and stir them gently . Sprinkle some water . Cover and cook them in a low flame until all the brinjals become tender. 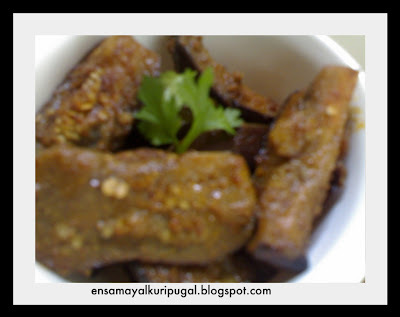 Easy and yummy brinjal fry.. Delicious yet simple and easy to make. Simple and my fav poriyal..
my fav...ur version sounds yummy...will try this soon..
Easy, delicious n yummy dear! Wow the poriyal looks simple and tasty!!! 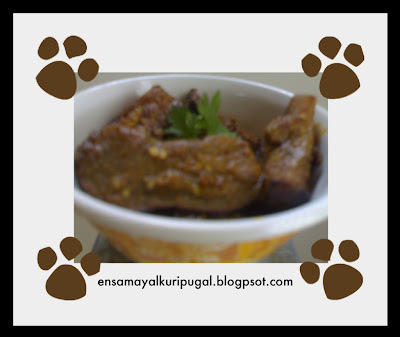 Love brinjal fry must try dish!!! My first visit here, shall come by for more!!! brinjal poriyal sounds delicious and simple!! !